The modern workplace can be a complicated listening environment, with its challenging open-plan spaces, group meetings, busy cafeterias and noisy factory floors. It’s therefore an environment in which employees with hearing loss can find it particularly tough to join the discussion. While modern hearing aid technology does a great job of helping people to understand more, many people with hearing loss still sometimes find it tricky to follow what is being said – especially when there is background noise and over distance. That’s where Roger products come in. A nice Roger feature is that the system is private and cannot be eavesdropped. We offer ready-made bundles, making it easy to choose the Roger system m you need. If you have any questions about which would be the best bundle for you, please just call or email us. 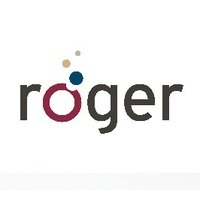 Please click here to view a brochure giving an overview of the advantages of using a Roger system at work. All radio aid systems are supplied with full instructions and support cards and are easy to set up and use. Telephone and email support is always available free of charge. However, we also offer a bespoke on-site setup and training visit for individual systems where we will tailor the session to the specific needs of the user. Prices start at £480 (£400 ex VAT), depending on location. Our friendly and approachable trainer will spend as long as is required to get the system working in your specific environment and to ensure that you are happy and confident about all the different ways the equipment can work for you. We would strongly recommend this service for those in employment situations where the radio aid needs to interact with existing equipment, for example the office telephone system. Please contact Richard or John in Customer Services to discuss your individual requirements.